Riverdale started on 26th January 2017 and it is based on the characters of Archie Comics. 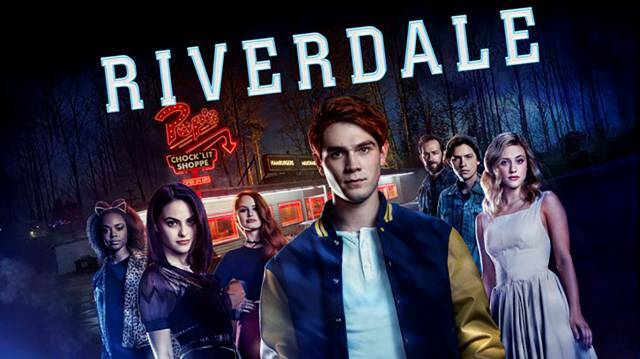 Even though the first series hasn’t had big TV ratings this doesn’t mean that Riverdale is not worth watching! In fact, for me it was love love at first sight! So here I am with a list of 5 Reasons to watch RIVERDALE! 1. WHO KILLED JASON BLOSSOM? The entire plot turns around this question. Jason Blossom disappears on 4th July when he and his twin sister Cheryl went to the lake of Riverdale to make a trip on a canoe, but he never came back. Cheryl’s gloves fall in the water and his brother tries to catch them, but the canoe overturns. Cheryl can reach the shore, but Jason cannot. All the people think that Jason has drowned but after few months they find his body and discover he isn’t dead drowning, someone shot him and he didn’t die on 4th July , but a week later and the tragedy turns from an accident to a murder which seems unexplicable. So everyone wonders: Who Killed Jason Blossom? This Tv series has more ginger heads than any other, from the Blossom twins to Archie Andrews. During the summer Archie worked for his father and now he is one of handsomest boys in his school. Thanks to his music teacher he starts writing songs and he discovers he is quite good at doing it. He also plays football and when school starts he becomes a regular. His best friend is Betty Cooper, who loves him secretly. She finds the courage to tell him what she feels when Veronica Lodge arrives in town . Does Archie love her? Do you remember Cody Martin of “The Suite Life of Zack and Cody” and “The Suite Life on Deck”, the blonde child who played a lot of tricks on Mr Moseby with his twin brother? Yeah! It’s Him!! Say goodbye to his blonde hair and welcome his new dark locks. Now Cole Sprouse is a handsome young man! In Riverdale he plays Jughead Jones, a boy with family problems. After the 4th July he starts writing a novel about Jason’ s death. What can I say? He is perfect in this role!! In this series girl power rocks! The main female characters are Betty Cooper, Veronica Lodge and Cheryl Blossom. Betty Cooper is a sweet and kind girl who loves her friends, but she hides a dark side. In fact when she has to defend some girls from the most popular boys of the school , Betty doesn’t hesitate to show them who she actually is. Veronica Lodge is a new student she comes from New York and she arrives to Riverdale after her father’s arrest. When she was in New York she was the queen of her school , but now she wants to be a better person and be loved for what she has inside and not for her good looks. Cheryl Blossom is the Queen of Riverdale High School. She doesn’t like Betty and her friends and at first she seems evil, unpleasant and heartless , but then she will reveal she has a good side. Jughead and Archie were friends before the 4th July but they haven’t talked to each other since then .When the school starts the two strike up again, they starts supporting each other, they face their problems and what Jason’s death brought to light. And Betty wants to be Veronica’s friend because she feels more confident with her. Friendship or Love? Betty doesn’t know whether to tell Archie what she feels or not… She is afraid that would ruin their beautiful friendship. They have known each other since they were children , they are like brother and sister. They can talk about everything, but if Betty tells Archie she loves him, what will happen? Will they be still friends or not? I didn't know this TV Series! I might watch it very soon! Well done Lucrezìa! My favourite character is Jughead. He's so mysterious. Anyway I haven't the faintest idea about who killed Jason!